Illustration of Everyday Life Workshop by MICE. Have you ever felt stuck? Out of ideas? Everything around us is an inspiration. In this workshop you will learn from the expert, MICE, how to be inspired by our surrounding environment and manifest them into the form of illustration. This workshop is limited for 30 participant. 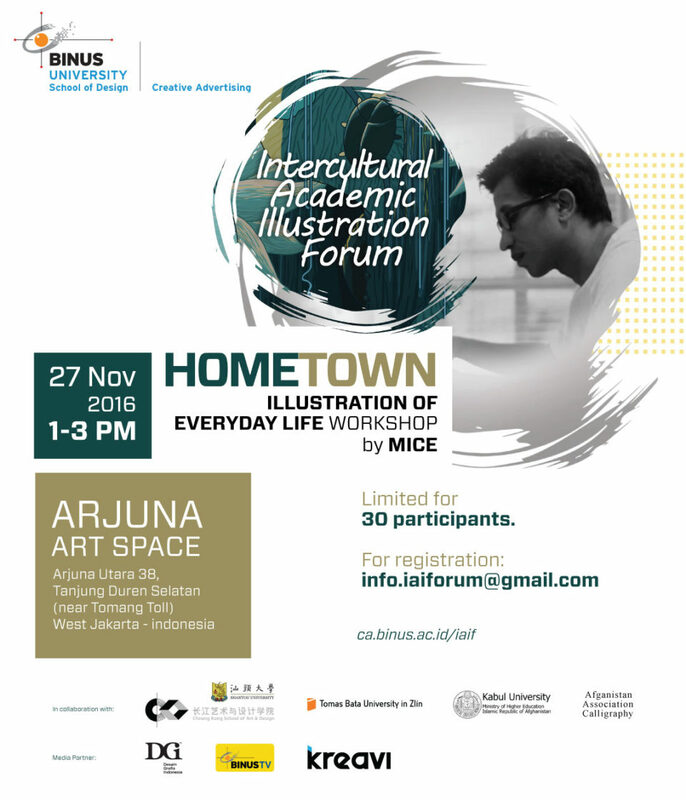 So hurry up and register yourself by emailing us at info.iaiforum@gmail.com. Born in Jakarta, 23 July 1970. Graduated from Graphic Design, Institut Kesenian Jakarta in 1993.